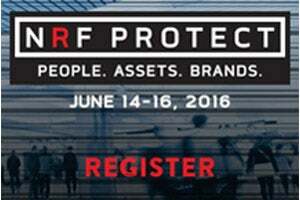 NRF PROTECT is the largest, most important retail and restaurant loss prevention event in North America. The conference is especially for those who protect retail brands, assets, people and profits. NRF PROTECT features 2 ½ days of compelling educational sessions, networking opportunities and an innovative EXPO Hall. Experience it for yourself – join us in Philadelphia at the Pennsylvania Convention Center June 14 – 16, 2016. Compliance training is one of the most challenging initiatives organizations must face – it’s tough to engage employees, difficult to document compliance on the job, and it’s a steep uphill climb to create and sustain a culture that promotes continuous compliance. Bryan Hoppe of TBC Corp., will share how he took TBC from a compliance “check-the-box” approach to one that focuses on getting the right results. During this session, Hoppe will share three key initiatives that have been the driving force behind a radical organizational shift in less than one year.